If you ever have written a scientific paper, you probably know how hard it is to remember what was in the papers you cited. Usually you cite them once and forget about them, but if you want to discuss your paper with other scientist, it would be nice to have at least an idea of what you exactly cited. 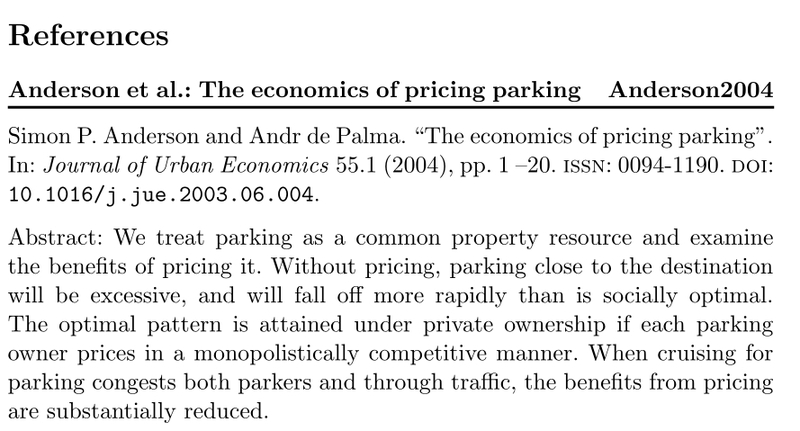 In LaTeX you have a nice way of producing a bibliography with abstracts. It is quite easy. 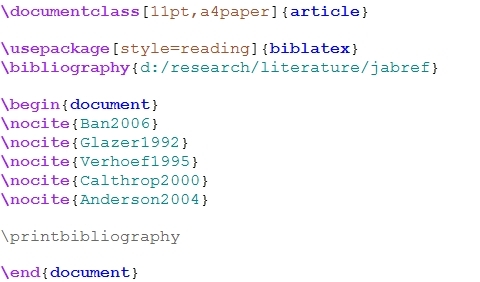 You only have to use biblatex, an improved bibtex. Information on biblatex can be found at the CTAN repository (just google it). There are also two good articles in German from http://biblatex.dominik-wassenhoven.de/dtk.shtml. If you have some annotations, they also will be reproduced. This entry was posted in LaTeX by admin. Bookmark the permalink.